This rainbow-striped zebra won't be hard to spot! 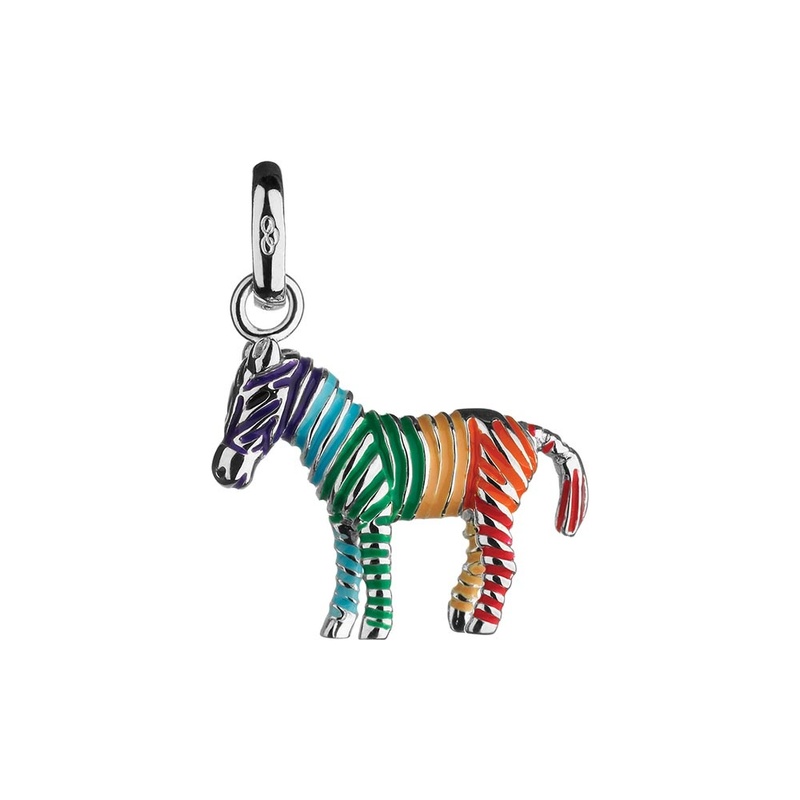 Add some fun to your charm bracelet with this sterling silver Rainbow Zebra charm. This beautifully bright piece set in sterling silver featuring rainbow colour enamelling makes a cute gift for any child. Wear on your iconic charm bracelet or sterling silver chain.